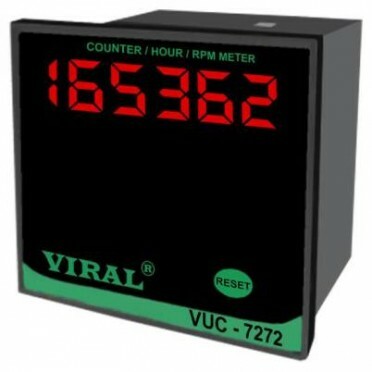 Universal Time Totaliser, Counter, RPM Meter . Display : 0.36”, 0.39”, 0.56” 7 - Segment Display. RED 6 Digit shows Count. Operating Mode : Count Totaliser / Time Totaliser / RPM (User Configuration). Display 0.36”, 0.39”, 0.56” 7 - Segment Display. RED 6 Digit shows Count. Display : 4.00” 7 - Segment 4 Digit RED Display. Single Display with Single Sensor ( J/K/PT-100)Rang..